The fan art galleries currently contain Quest and Conquest Fan Art cards. We welcome submissions of your Fan Art cards. To submit Fan Art, please follow the instructions on the side panel on this page. Why have Fan Art cards if you can’t print them and play with them? The links in Printing provide you with ways to get Fan Art cards printed, from Do-It-Yourself printing at home to professional services that do much of the work for you. How are Fan Art cards created? 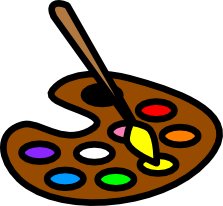 Libraries hold images to use to create your own Fan Art cards (non-commercial use only). Some of them are recreations of objects used on cards and others are merely drawn in a similar style. 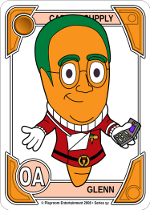 There are also Journey to Jupiter, Kinderbunnies, and Conquest of the Magic Carrot Fan Art card templates! “Fan Art” are creative works that are meant to honor, emulate, and extend the original artists’ creative vision. Some of their work is in the Magic Carrot galleries. Go explore the Magic Carrot Fan Art Galleries and see what others have created. It just might inspire your creativity too! Then head on over to the Tutorials section.